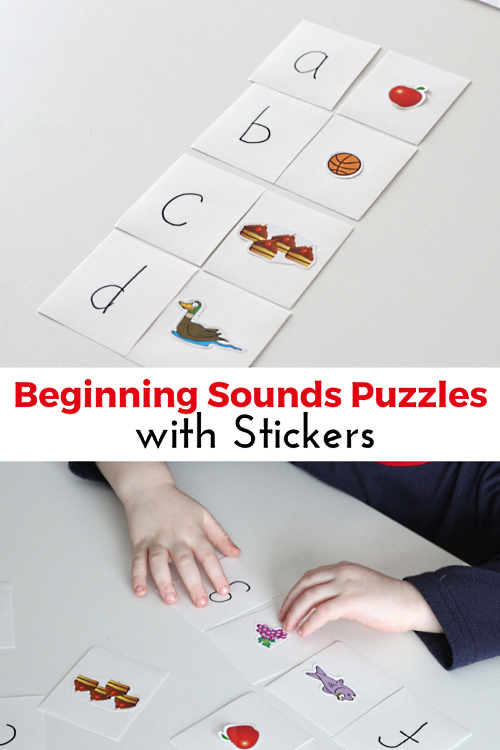 These simple beginning sounds matching puzzles are very easy to make and a quick way to help kids learn to identify beginning sounds in words. We plan to use them again and again! 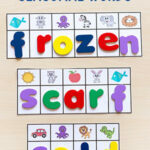 This week the Playful Preschool theme is puzzles. 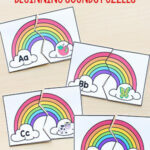 The team has been busy planning puzzle lesson plans for your preschooler. Make sure to check them out below. We hope you enjoy them! 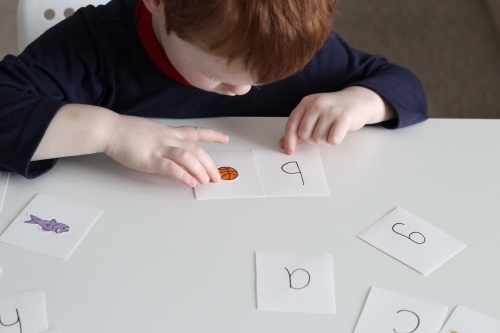 We are still teaching Evan all of the letter sounds and part of that is identifying letter sounds in words. 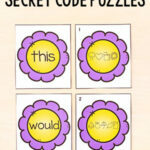 This simple puzzle activity is a great way to help kids practice this skill. 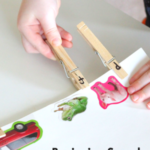 Stickers that represent different objects – I used this Elmo’s World Super Sticker Book (affiliate). It is actually a book with tons of reusable stickers, so if I want to I can peel this off of my puzzles and put them back in the book to use as well. 1. Cut each index card in half. You can cut them in different designs so the look more puzzle-like. I cut mine straight across because I didn’t want to give Evan any additional hints for which cards go together. 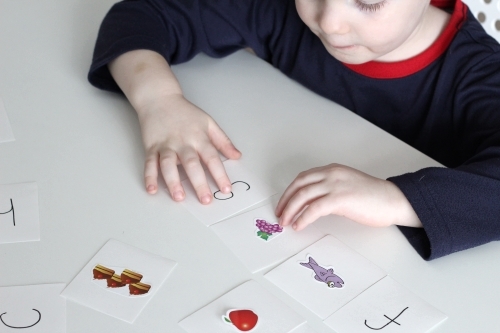 For a child just beginning to work on letter sounds, it would be a great idea to cut them differently and make the puzzles self-correcting. 2. 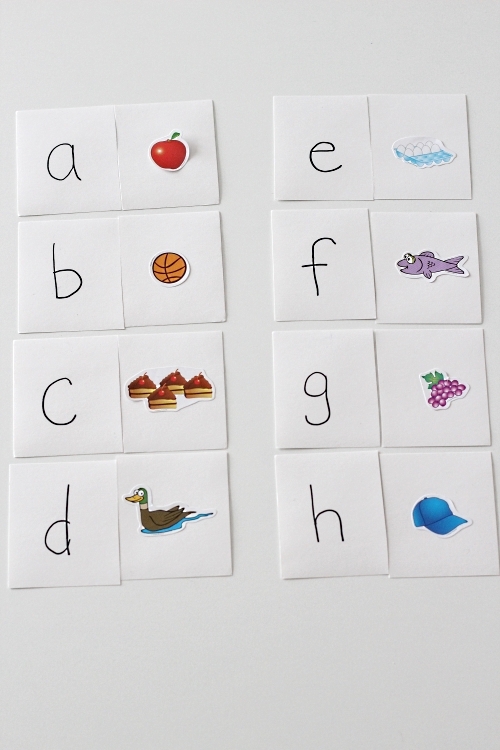 Write the letter on one side of the index card and place a coordinating sticker on the other side of the index card. Place all of the cards down on your playing surface and mix them all up. To keep it simple, I only put 8 puzzles out at one time. 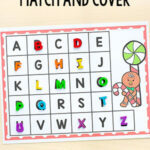 Then have the child match the letter pieces to the pieces with the stickers on them. 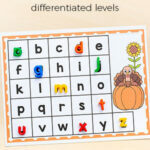 More Puzzle Play and Learning!